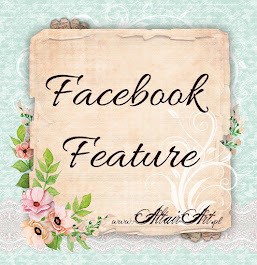 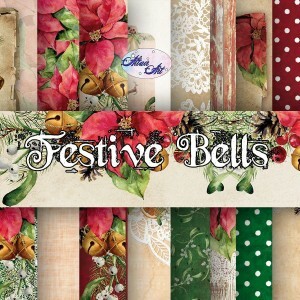 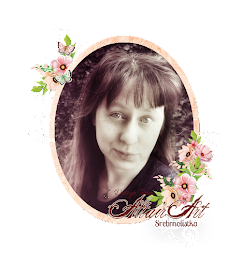 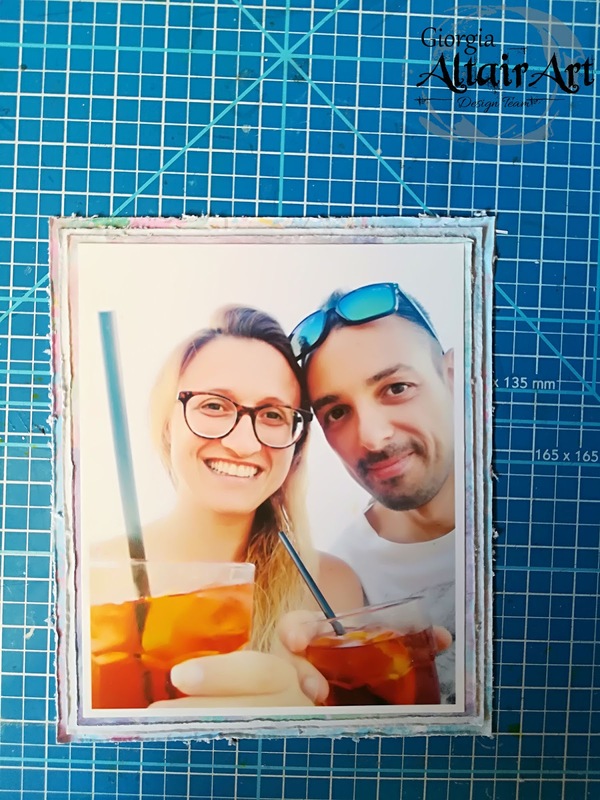 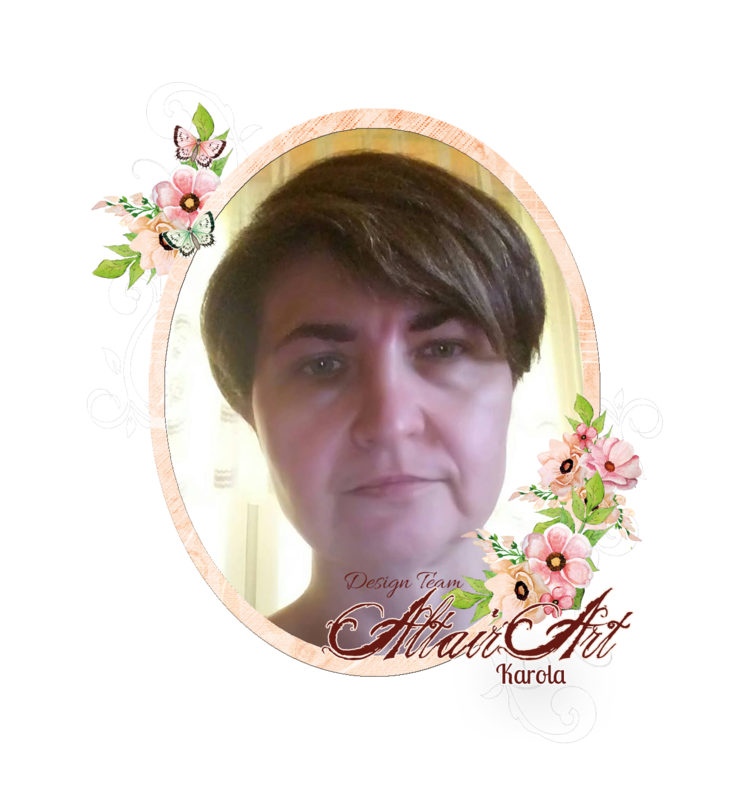 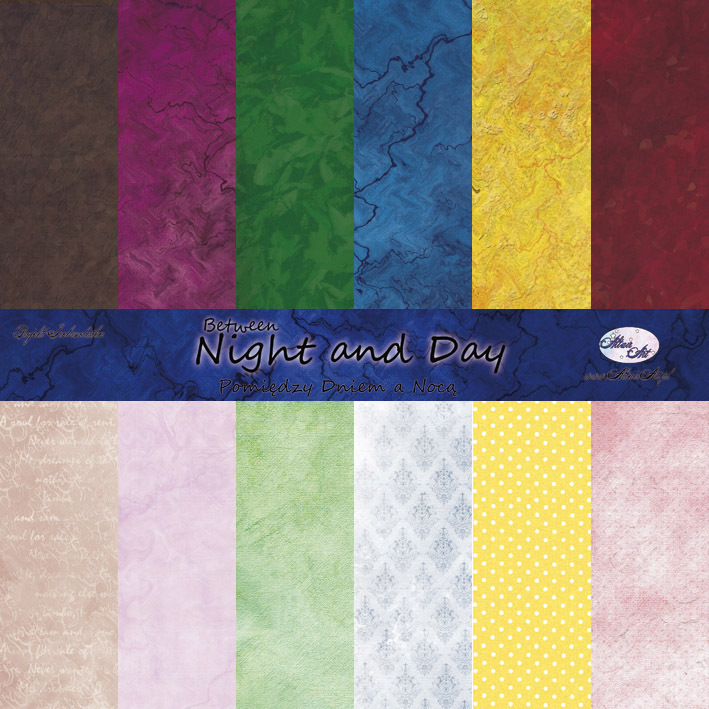 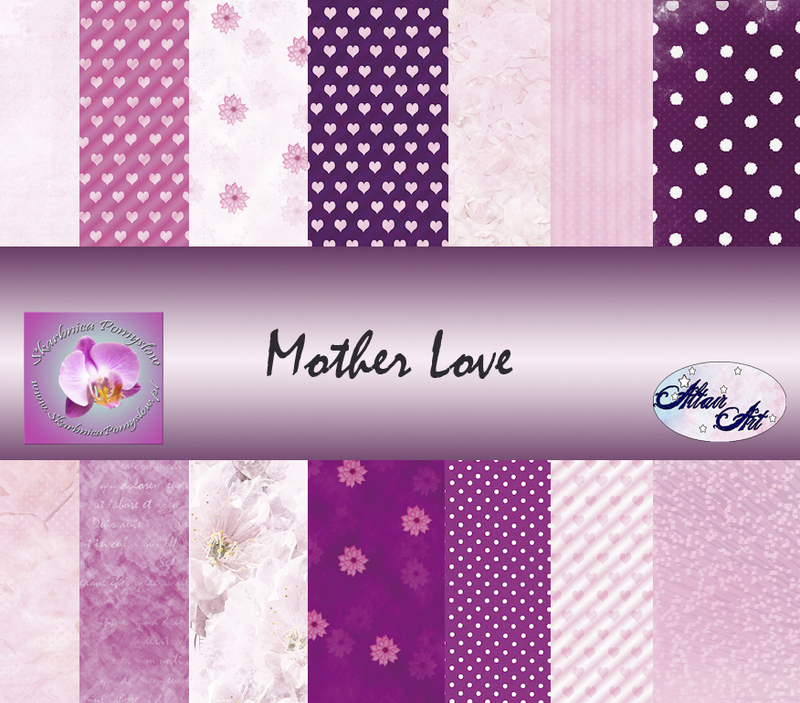 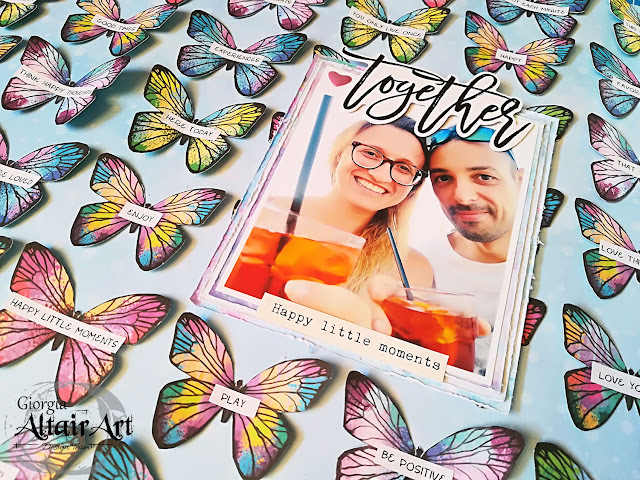 Today I would love to show you a layout with a DIY background made with fussy cutting technique. 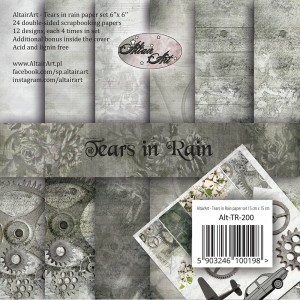 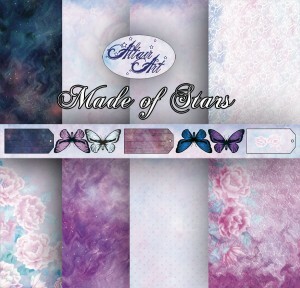 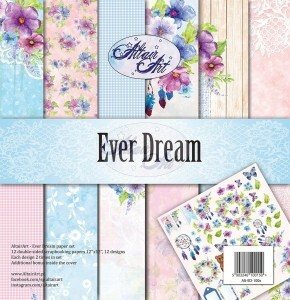 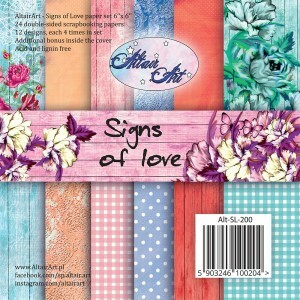 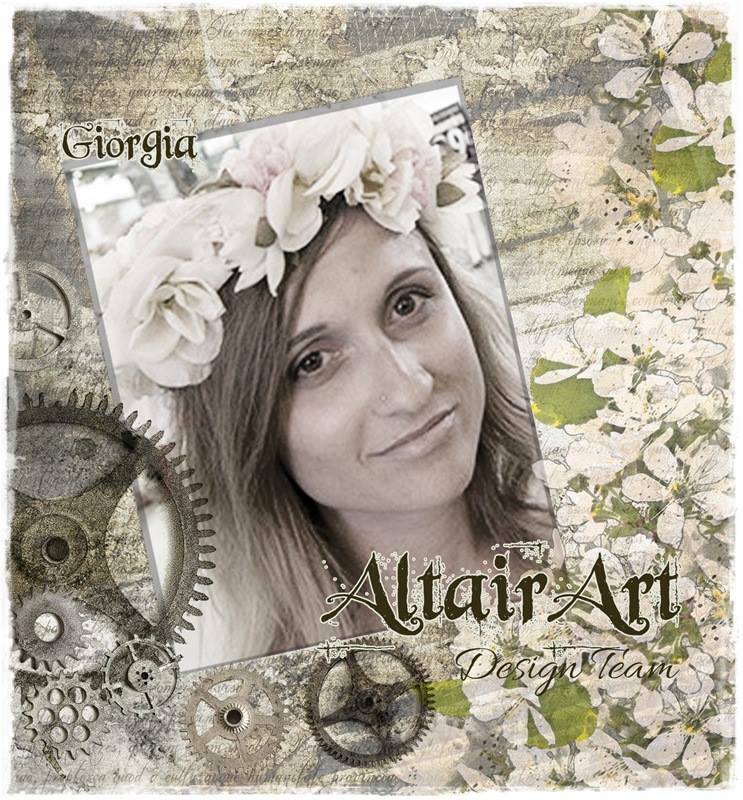 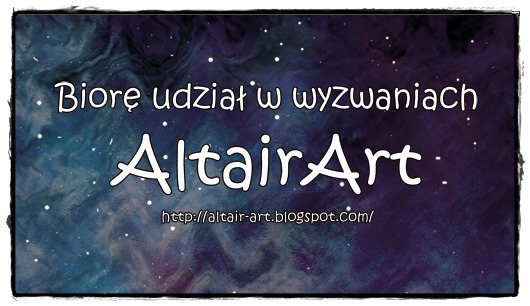 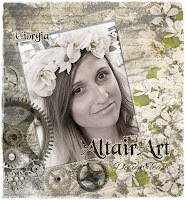 I cutted all these amazing Altair Art butterflies to create an eye catching layout. 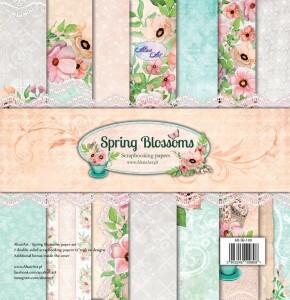 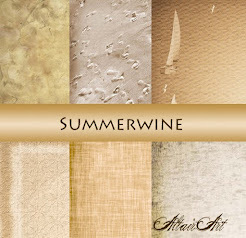 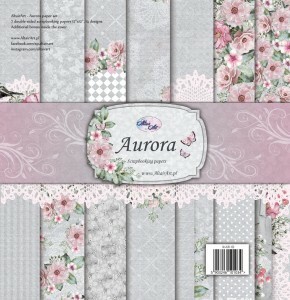 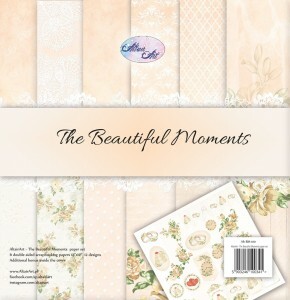 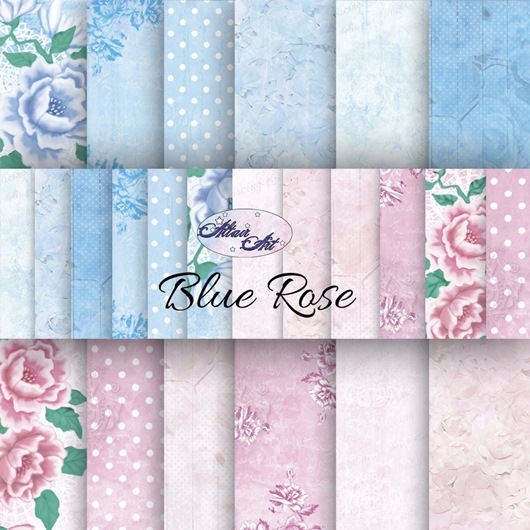 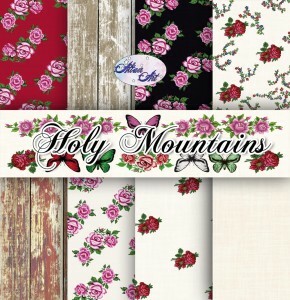 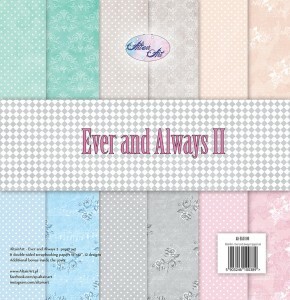 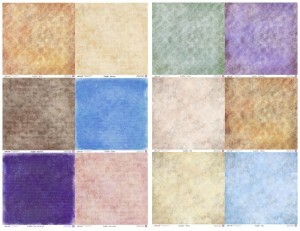 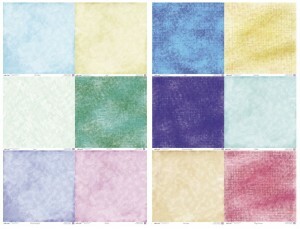 As background paper I chose a light blue paper from new collection Flower Harmony, to mimic the sky. 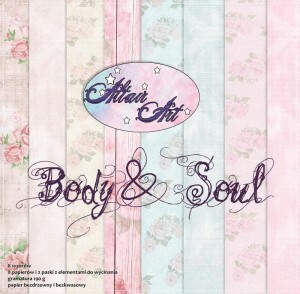 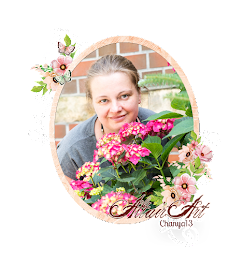 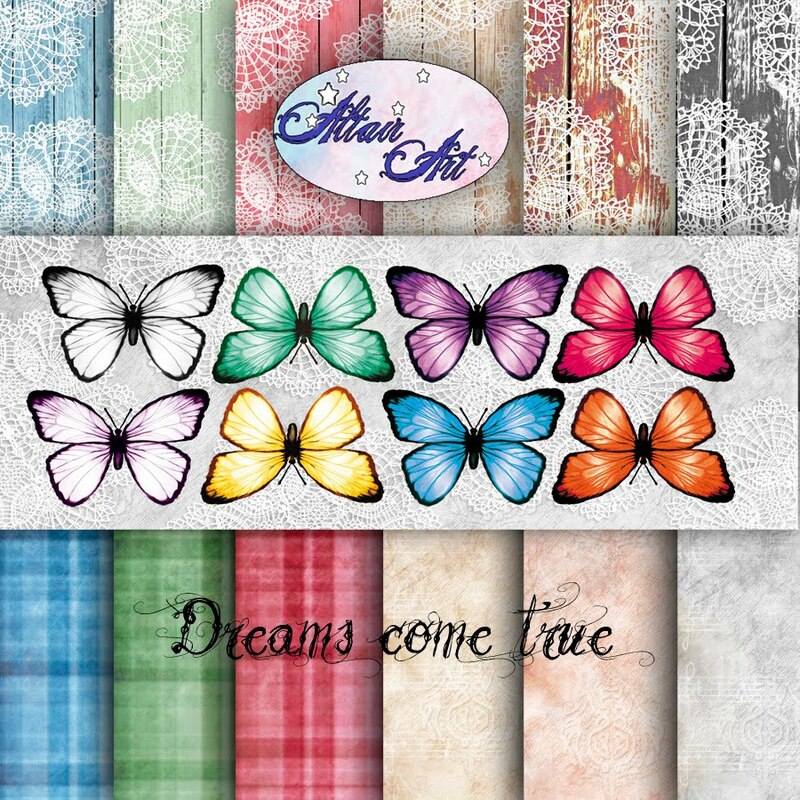 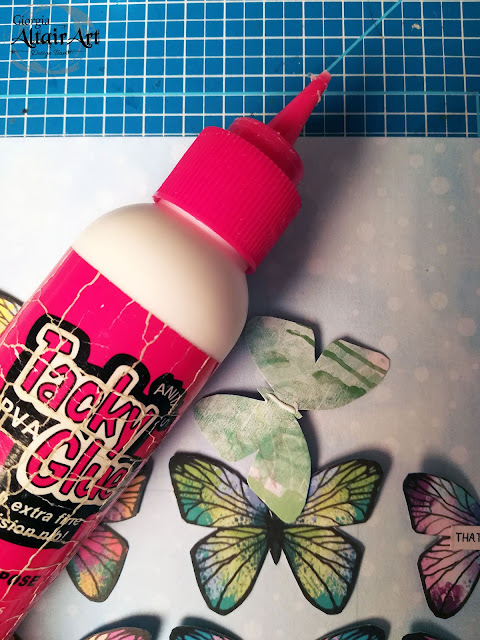 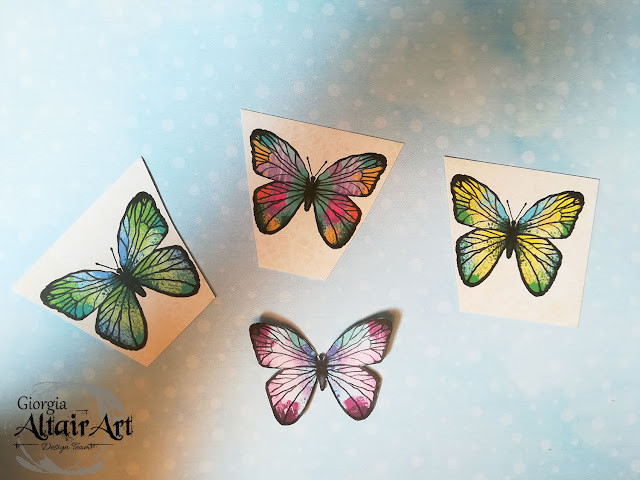 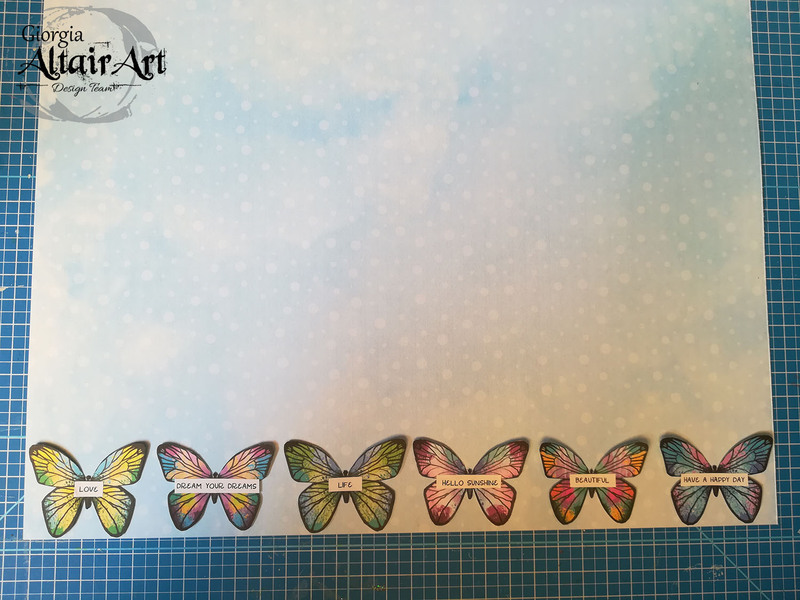 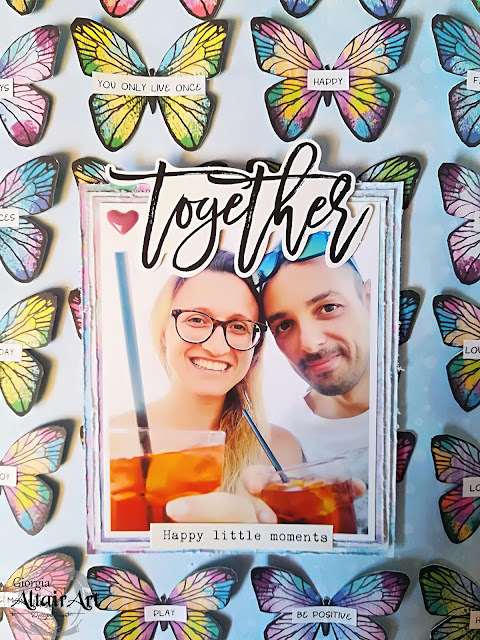 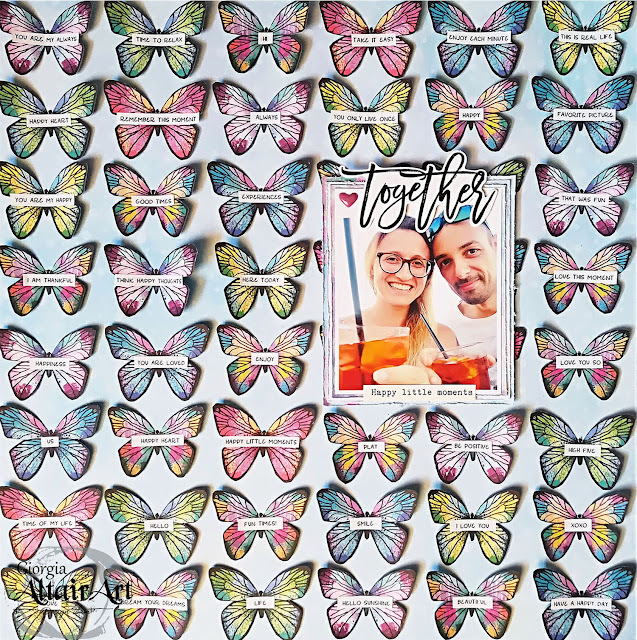 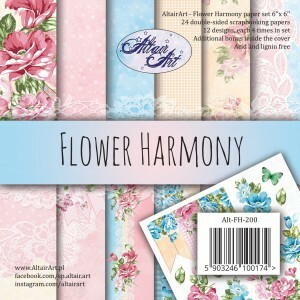 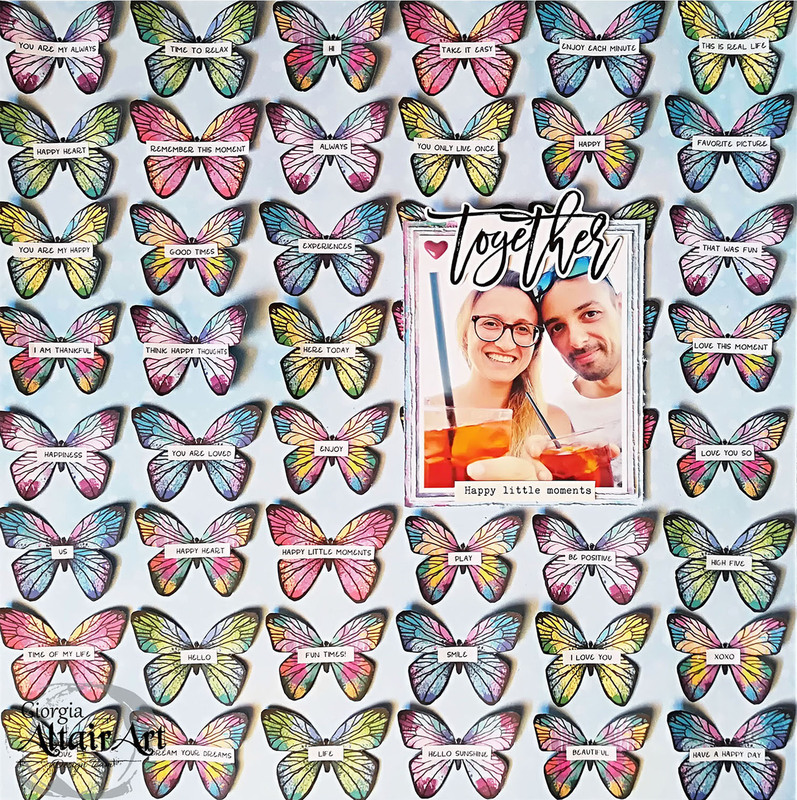 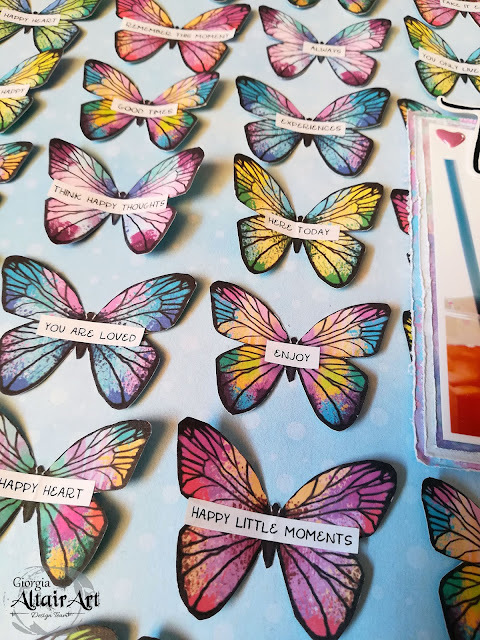 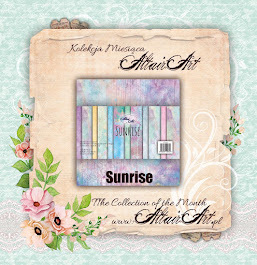 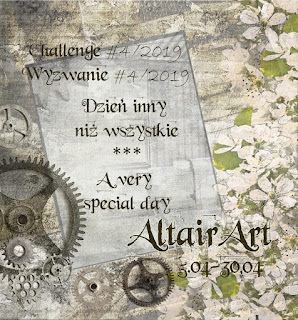 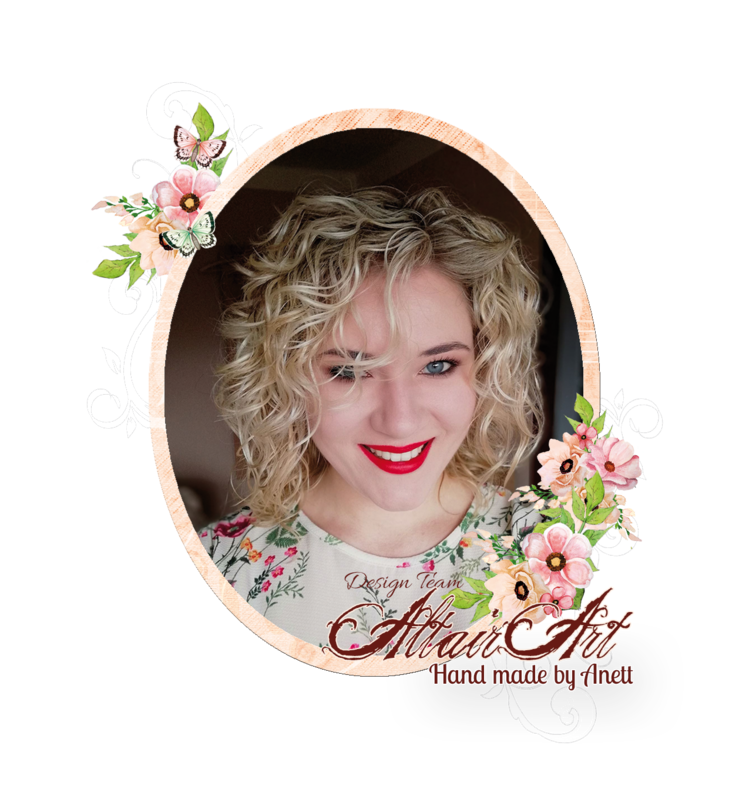 Altair Art has a huge assortment of butterflies that you can fussy cut to use as embellishments: I chose to use the Sunrise butterflies, they seem watercolored and they are stunning! 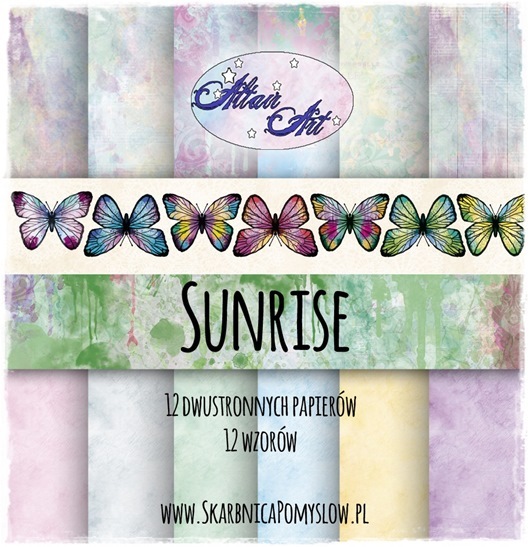 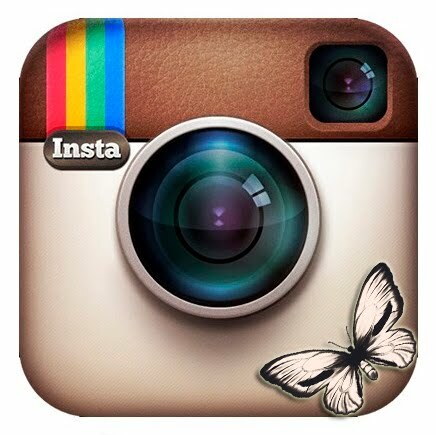 To create the background you will need 7 strips of Sunrise butterflies: in each strip there are 7 butterflies. 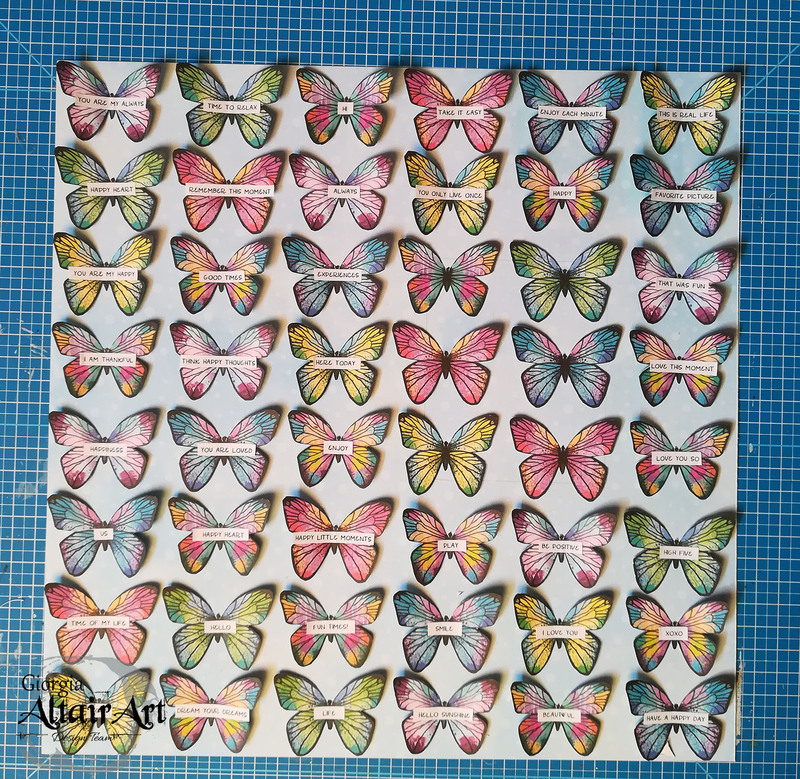 For each layer on the background you will need 6 butterflies; keep the remaining butterfly (keep each time a different one) to create the 8th layer. 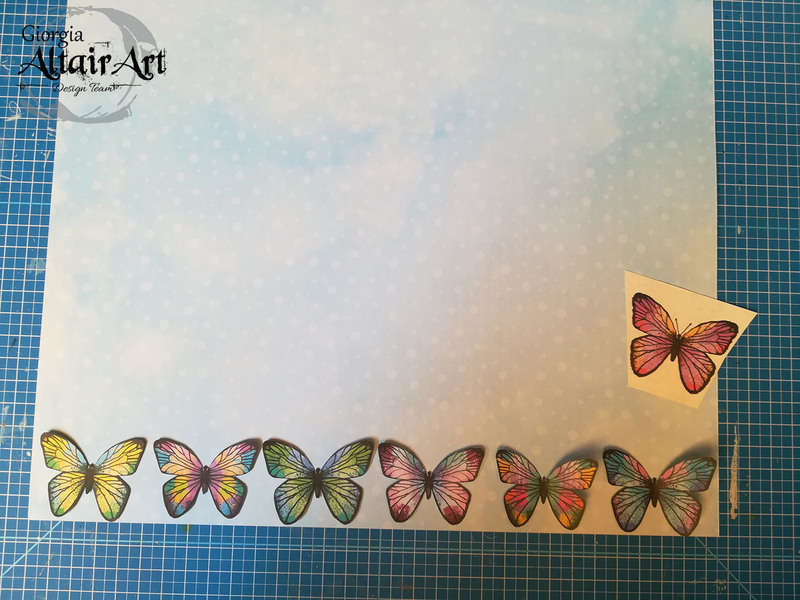 When you fussy cut the butterflies you can choose to leave a tiny border all around or not: in this case I prefer not to. 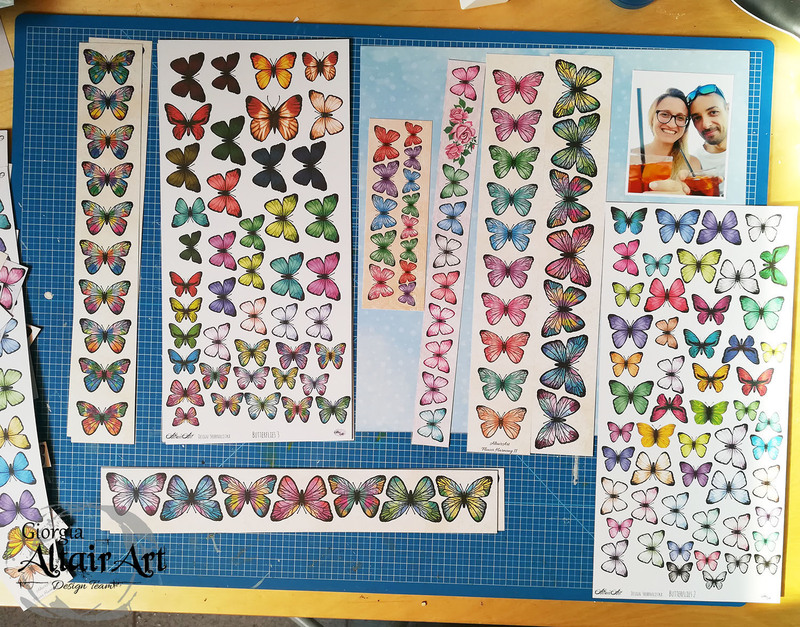 To cut all the butterflies you will need about 2 hours... it is a long work but it worth it! I preferred to cut one strip at the time and adhere the butterflies, so I won't add twice by mistake the same butterfly in one raw. 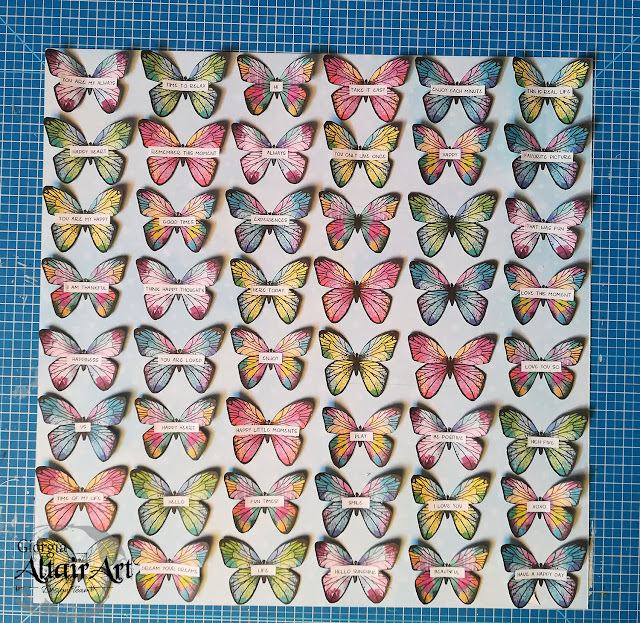 To glue them I added tacky glue only in the centre, so I can lift the wings up to make the butterflies "fly" and create dimension and movement. I added a word/quote sticker to each butterfly. 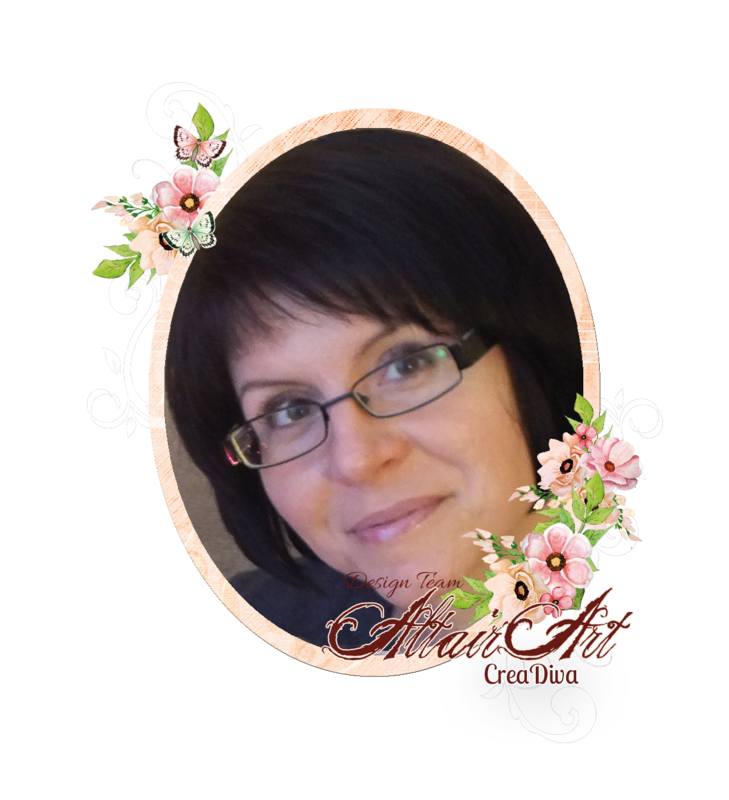 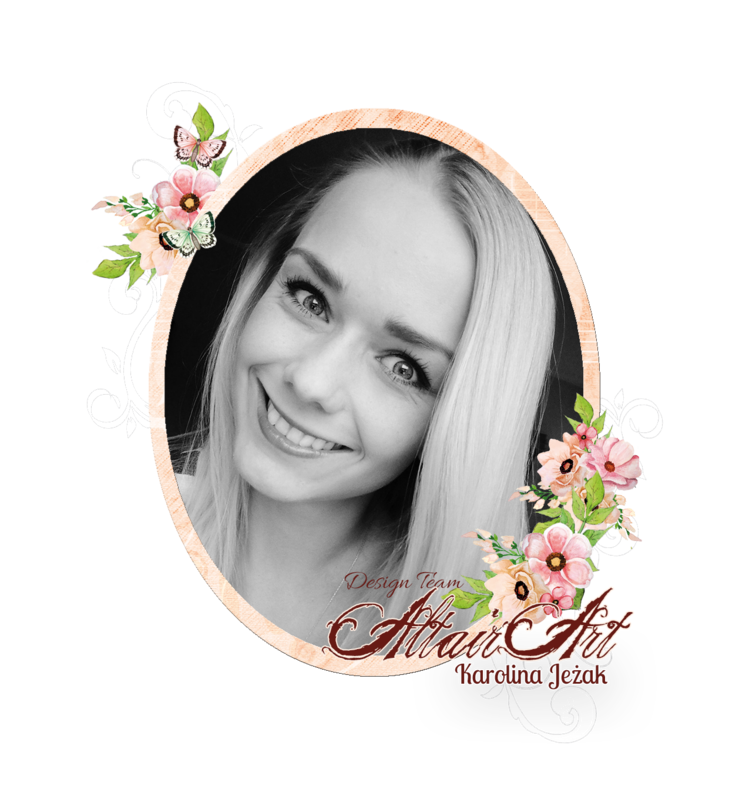 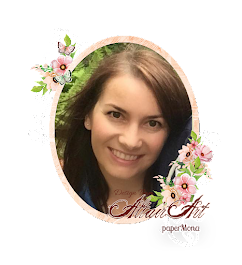 You can find premade stickers like this or you can create your own making a table in a word document, this is how I made mine! 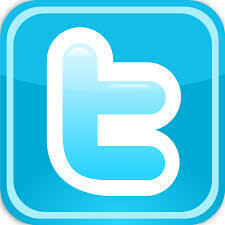 You can write your own words, print the document and cut all the tiny words. 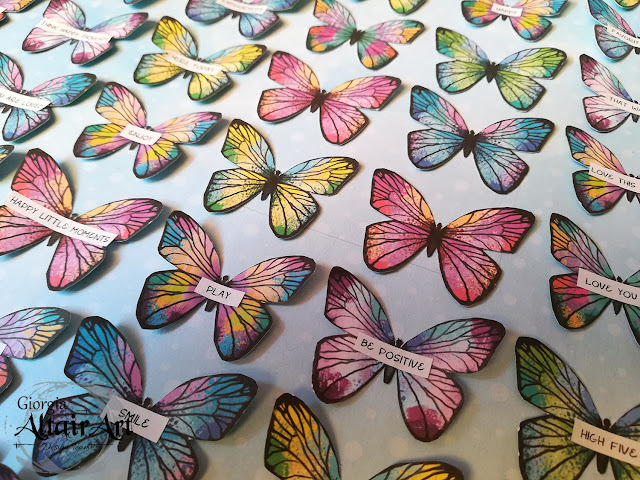 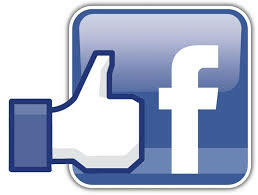 I also have a machine that create stickers, so I run the sheet in the machine and made it sticky - so useful!